The South West returns six MEPs. In 2009 it returned three Conservative MEPs, two UKIP and one Liberal Democrats, with Labour losing their only MEP. Full results for 2009 are here. CLARE MOODY (Labour) Trade union officer. Contested South West region 2004 European elections, Salisbury 2005, Wiltshire police commissioner election 2012. GLYN FORD (Labour) Born 1950, Gloucester. Educated at Reading University. Former research fellow. Former Tameside councillor. MEP for Greater Manchester 1984-1999, MEP for South West England 1999-2009. ANN REEDER (Labour) Educated at Lancaster University. Local government consultant. Brent councillor 1994-2002. ASHLEY FOX (Conservative) Born 1969. Educated at Kings School Worcester and Bristol Polytechnic. Solicitor. Bristol councillor 2002-2009. Contested Bath 2001. MEP for South West England since 2009. JULIE GIRLING (Conservative) Former Cotswold councillor. Former Gloucestershire councillor. Contested South West region 2004 European elections. MEP for South West England since 2009. JAMES CRACKNELL (Conservative) Born 1972, Sutton. Educated at Kingston Grammar School and Reading University. Television sports presenter and former Olympic rower. GRAHAM WATSON (Liberal Democrat) Born 1956, Rothesay. Educated at City of Bath Boys School and Heriot-Watt University. Prior to his election worked as a university administrator, head of David Steel’s office and for HSBC. MEP for Somerset and North Devon 1994-1999. MEP for South West England since 1999. Leader of the Liberal Group in the European parliament 2002-2009. Knighted in 2011. KAY BARNARD (Liberal Democrat) Farmer. Former Somerset councillor. Contested Bristol South 2005, South West region 2009 European election. BRIAN MATHEW (Liberal Democrat) Born in Sussex. Educated at Millfield. Engineer and international aid worker. Contested North Somerset 2010. WILLIAM DARTMOUTH (UKIP) Born 1949. Educated at Eton and Oxford University. MEP for South West England since 2009. As the Earl of Dartmouth was a Conservative member of the House of Lords until the exclusion of hereditary peers. Defected to UKIP in 2007. JULIA REID (UKIP) Born in London. Educated at John Bentley School and Bath University. Research biochemist. Contested South West Region 2009, Chippenham 2010. Former member of the SDP. GAWAIN TOWLER (UKIP) Educated at Clayesmore School and York University. Press officer. Contested Glasgow Maryhill 2001 for the Conservatives, South West Region 2009 European elections for UKIP. MOLLY SCOTT CATO (Green) Born 1963, Wales. Educated at Oxford University. University professor. Stroud councillor since 2011. Contested Preseli Pembrokeshire 1997, 2005, South West region 2009 European election. EMILY MCIVOR (Green) Policy advisor. Contested Tiverton and Honiton 1997. ADRIAN ROMILLY (BNP) Born in Kent. Educated at University College London. Contested South West region 2009 European elections. CLIFF JONES (BNP) Maths tutor. ALAN ENGLAND (English Democrats) Born in Exeter. Former civil servant. Contested South Wales East 2007 Welsh Assembly election. DAVID SMITH (An Independence from Europe) Born Devon. Educated at Exeter University. Teacher. Former UKIP member. Does anyone happen to know what the % vote shares and seats won was here in 1999, 2004 and 2009? Labour has never reached 30% in a euro election since proportional representation was introduced! they only got 28% under Blair in 1999 at the height of New Labour’s popularity. 24% is a pretty solid prediction in my view. Labour never does as well as they expect to do in these elections. I humbly suggest that Labour are more likely to poll over 30% than UKIP. Remember that the national average includes two regions where UKIP will struggle to exceed 10% (Scotland and London). They’ll need to be way over 40% in regions like the South East to achieve it and I think that’s too big an ask. My personal view is that Labour and UKIP will be close somewhere in the high 20s, with the Tories in the low 20s. Again, see the polls for London and Scotland though. 111 is wrong to say that 1999 was the “height of New Labour’s popularity”. In fact those elections were seen as a disaster for Tony Blair because Labour trailed in a full 8% behind the Tories (who polled 36%). I think we could realistically poll 30% nationwide this time. Remember that we have a “get out the vote” effort that is based on our Voter ID data – an advantage UKIP do not have. In many parts of the country that GOTV organisation will be intense because of local election battles happening on the same day. I think we could poll as high as 23% in the South West – however I now realise that in order to take a 2nd seat we will need to be polling double what the Lib Dems poll, and on a strict proportional change basis the Lib Dems should poll in the low teens here. The 6th seat will therefore go to the Lib Dems (unless, of course, the Tories or UKIP could out-poll them by a 4:1 margin, which is not realistic). My prediction is now pretty firm: 2 UKIP, 2 Con, 1 Lab, 1 Lib Dem. Robin Hood – that’s very true. Indeed the Tories notionally won seats such as Lpool Garston in 1999. Incidentally, I think it’s near impossible for any Party to achieve over 30% given the large numbers of Lists in some Regions. UKIP will make major inroads in London next month, not quite convinced about Scotland but I now expect UKIP to take 2 seats in London with an outside shot at 1 in Scotland. I think that UKIP will poll over 30% nationally rather than Labour as there is an understandable reason for people to rally behind UKIP as an anti EU protest vote. I don’t really see why there is going to be this massive upsurge in Labour fortunes that some people on here are predicting, They don’t even have a clear EU policy after all so I don’t see the big incentive for many people to vote for them all of a sudden. Labour are on just over 30% nationally in GE polling and I can’t see them being as high in a Euro election with so many lists around. Labour has never had that good a GOTV operation for local elections anyway. Look at the London local elections in 2006, the turnout was so low that many Conservatives, Lib Dems, and even Greens and BNP people were elected; a feat which wasn’t repeated in 2010 when Labour voters for the General election took part in the local elections, letting Labour gain many more seats despite being less popular nationally than in 2006. 111 – I agree with your last post. I’m not even convinced that Labour’s tactics worked in their best areas in 2009. In Manc and Lpool it largely consisted of Vote to stop the BNP. Now that might have worked with some students or ethnic minorities, but the WWC vote stayed at home in even larger numbers than usual (2% in some polling stations) and some more actually voted BNP. For the record, this region elected a total of 7 MEPS in both 1999 and 2004, subsequently reduced to 6 in 2009 and 6 now. Nationally The 1999 result was Con 36%; Lab 28%; Lib Dem 13%; UKIP 7%, whereas the vote shares in the South West were Con 42%, Lab 18%, Lib Dem 17%, UKIP 11%. In terms of seats this yielded 4 Con, 1 Lab, 1 Lib Dem and 1 UKIP. Nationally the 2004 result was Con 27%; Lab 23%; Lib Dem 15%; UKIP 16%., whereas the vote shares in the South West were Con 32%, Lab 15%, Lib Dem 18%, UKIP 24%. In terms of seats this yielded 3 Con, 1 Lab, 1 Lib Dem and 2 UKIP. Nationally the 2009 result was Con 28%; Lab 16%; Lib Dem 14%; UKIP 17%., whereas the vote shares in the South West were Con 30%; Lab 8%; Lib Dem 17%; UKIP 22%. In terms of seats this yielded 3 Con, 0 Lab, 1 Lib Dem and 2 UKIP. Here’s my brief expert analysis: throughout the three elections the Tories polled better in the SW than in the country, however the differential has been falling: it was 6% in 1999, falling to 5% in 2004 and only 2% in 2009. It looks like they will poll somewhere in the 20s in the SW this time. Labour have consistently underperformed in the SW by between 8% and 10% compared to their nationwide strength, meaning they will struggle to break 20% this time (contrary to what I wrote earlier). The Lib Dems in the SW have consistently out-performed their nationwide showing by 3-4%, meaning they will poll around 12% this time. Whereas the kippers in the SW have consistently done between 4-8% better than nationally, meaning they could well poll around one third of the vote this time. Most of the remainder (c. 10%) will probably go to the Greens, though not enough to edge the Lib Dems out of fourth place. In order for Labour to secure a 2nd seat they will need to either poll double what the Lib Dems get (unlikely) or more than the Tories (almost impossible in this region, I would say). It really does seem very likely that it’ll end on Con 2; Lab 1; Lib Dems 1; UKIP 2, unless I’m completely missing something. ^^^ I’m sure there is something amiss about these figures, but Chronic Fatigue Syndrome prevents me from finding out what (at least for the moment). Am I correct in thinking that when you award a party a seat you automatically halve its vote and then look at the revised figures in order to work out who gets the 2nd seat? I’ve taken my figures from Wikipedia but may have made an error somewhere. Apologies. Robin: as far as the article explains, I think the answer to your question is yes. I guess that there is a remote chance of the Conservatives taking a seat at the expense of the Lib Dems but I really can’t see any other changes. I think that many people on here are considerably overestimating Labour and Conservative support. From knocking on doors for the Conservatives it is quite clear that the momentum is behind UKIP. Thanks for your comments. It seems that I haven’t quite understood the system, which is based upon a formulae that is marginally more biased towards larger parties than would be the case if we were simply to halve the vote won by each party that we allocate a seat to. On this basis it is just possible that UKIP could take as many as three seats and that the Tories might conceivably deprive the Lib Dems of their solitary seat. My view is that the parties are going to broadly be polling in the region of UKIP 33%; Con 25%; Lab 18%; Lib Dems 13%. If anyone who understands the formulae better than I do can work out how the above would translate into seats, then you’re a better mathematician than I am. What is it about the profile of the SW that has made UKIP such an attractive option for voters in the region? I understand the UKIP phenomenon in Lincolnshire and a large section of Eastern England, but I’ve never really considered to demographics of Devon or Cornwall in great detail. I gather that there are areas of the SW which aren’t as affluent as the Home Counties, but don’t have any Labour presence (a section of the vote that is looking just as attractive as defecting Tories). Hence why I think Labour will end up with 1 seat as their strength lies exclusively in urban centres like Bristol, Exeter and Swindon. Only Stroud with its smaller market town feel is an exception though. Devon appears to be by far the best area for UKIP in the South West region. I used to live in Devon. There is a certain mentality in that county, though it would be wrong to suggest that all of its inhabitants share it. By the way – I’m having a clear-out and have a large number of old election tapes to give you, both U.S. and U.K. (far too much to post). Let me know when you’re next in West London and we can meet for a curry. As for the result in this region, having tried to get my head round the PR system being used it’s just possible that it could go Cons 2; Lab 1; Lib Dem 0; UKIP 3 in the South West, though I reckon 2:1:1:2 is still the most likely outcome. There’s a report in the Telegraph which suggests the Lib Dems may be wiped out. I hope not (bad for democracy and all that). Incidentally, this region does include Wiltshire (as Neil points out) but does Labour’s strength lie “exclusively” in urban areas like Exeter, Bristol and Swindon..? Presumably you would count Camborne, Redruth and Falmouth as ‘urban’, because they all have significant amounts of Labour strength and have recently elected Labour councillors (not to forget Plymouth, of course, where we now control the council). Good point, I only gave a few examples but those you listed are ones to look out for, especially Plymouth. Stroud as I mentioned is a market town so not urban in the city sense. I suppose you include some wards of the South Gloucestershire unitary authority (effectively the Bristol suburbs) like Kingswood, Filton and Patcham. There’s also strength in parts of Gloucester and Weymouth & Portland District. Some of the former coal mining towns in Forest of Dean like Cinderford and Coleford might have a few Labour votes, although the area has drifted away from them significantly and is a strong target for UKIP. I think Barbara Roache’s intervention could be catastrophic. A Gillian Duffy moment – speaking to colleagues today and several who were toying with voting UKIP are now almost certain to as they resent being called racist. UKIP will no doubt make a lot of the “Euracism” nonsense which appears to average people to be name-calling instead of a logical argument. This will make their vote firm up considerably. To be honest I can quite easily see very similar results to those in 2009, perhaps with a three and three split of UKIP and Conservative MEPs rather than a Lib Dem seat. Roche represents a side of Labour that turned many people away from the party. While her views on immigration didn’t cost her Hornsey & Wood Green (a liberal, cosmopolitan middle class seat) in 2005, there was surely discontent about her in other respects if she was so badly defeated. She tried contesting other seats subsequently but wasn’t selected. On the basis of the latest country-wide Euro election poll (which gives Labour only 24% – and puts them in third place) Labour are now only 8% higher than they were in 2009. If repeated in the South West, that would give us just 16%. I’d be happy if we could win just one of the SW seats on those figures. If the Lib Dems can’t hold Watson’s seat in the South West, that will be devastating for them. Seems like most people got this one wrong. The Greens did work really hard, especially their lead candidate who seemed to be everywhere. Considering they got no media coverage nationally they did very well to get 1.2m votes. They only won this seat because AIFE fooled sufficient voters into picking them instead of UKIP! Thinking about it, I guess the lead Green candidate (now MEP) has some name recognition in Stroud where she was a councillor. But it can’t just be there. Bristol and parts of Totnes (they have a bit of representation in South Hams) would seem like viable voting spots for them. Maybe the collapse of the Lib Dems enabled her election. An Independence From Europe, Mike Natrass’ UKIP spoiler party. AIFE wouldn’t have existed if UKIP didn’t have such a tendency to splinter. Time and again their MEPs defect, and they have suffered precious few consequences for that. If Socialist Labour and or No2EU hadn’t stood in the NW in 2009, Griffin might have been stopped. But in reality, no party has a right to complain about another standing, or ‘taking votes’ or ‘splitting the vote’ that they had hoped to get. 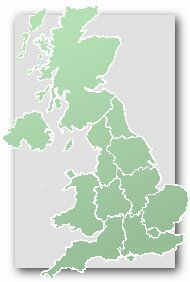 As for how close this result was for the Greens: in most regions where Greens didn’t get an MEP elected, they were the party with most totally unrepresented voters: while this particular result was a bit lucky, overall across the UK, it would have been even more flukey if the Green Party still had not gained an MEP anywhere other than London and the SE. Of the UKIP offshoots, I’m surprised Natrass’ party were the ones who garnered a tad more attention than the ludicrously named We Demand A Referendum party. Katie Hopkins was listed for a time as one of their candidates here but got removed. Given that the greens lost votes, it would not have been that unlikely to see no gains. Why have there been no questions put to Natalie Bennett about their performance? She went around for months saying they’d have six seats, in the event they got three and lost votes. Not enough of a defenestration culture in the Greens yet? Joe, such a small national fall in share of the vote is hardly worth talking about, especially when the largest chunk is accounted for by the SE region where the Green vote was still enough for the 8th of 10 seats. Anyway, in the SW region that we are discussing, the Greens gained significant votes, from a position in 2009 where if the region had been 7 seats, not 6, they would have had the 7th seat. So while there are all sorts of ‘ifs’ and ‘buts’, it isn’t just a fluke win. That question was briefly asked of her on BBC News the other day. They’ve received only a fraction of coverage compared to UKIP so I don’t see what purpose there is in dwelling on some comment made by their leader. If they were polling the same way they were in 1989, there’d have been way more scrutiny. Neil: I seem to remember “Two Million Vote Green” as the headline in the Today newspaper in 1989. One and a quarter million this time is not so very far removed. So why vastly less coverage? Nameless: Greens avoid the need for a defenestration culture as a knee-jerk to an election result by routinely changing leader anyway. If there are any ambitious to become a leader, they don’t need to sieze a moment of weakness to oust a leader in the way the LibDems seem to particularly relish. Neil, I’ve had a bit more of a think. For all of your stirring, it’s completely laughable that any party would be dissatisfied by a 50% increase in the number of their MEPs and close to a doubling of the number of council seats won, compared to last time the same seats were up for election. You remind me of Citizen Smith. Wolfie could well be a Green these days. Have there been any polls done on the British diaspora? Particularly those in EU countries? I would think that there would be an overwhelming Remain vote. However I imagine turnout will be low and there may be issues with receiving postal votes. I had this problem myself for the general election as I am a British citizen, resident in Sweden. My postal vote plain never arrived for the general election. This year I’ve set up a proxy vote, but I know several who don’t have this as an easy option. Yes, there’ve been a few (but none as accurate as Gib’s paper, due to Gibraltar’s small population). From memory the one on the Costa Brava had it @ 60: 40 for Remain and the one in France was 72: 20 for Remain. IIRC there’s 280,000 registered Overseas’ voters, but as you say turnout is never as high as here and yes, the post is a problem. Service voters & those on bases here are heavily for Leave, but then the military tend to be right wing and voted heavily for No in Scotland too.